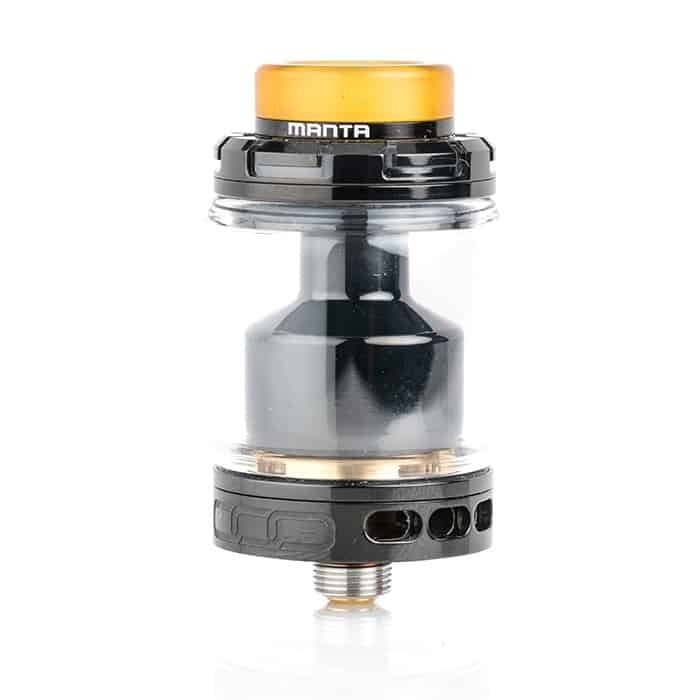 The Advken Manta RTA is a 24mm Diameter RTA with a 3ml capacity and a 4.5ml capacity with the bubble tank. The Manta is equipped with a convenient top filling system design, gold plated posts, and bottom adjustable airflow. The gold plated posts are stacked staggered terminal post with a direct airflow below it, making building easy, flexible, and opening a variant of coils to put in there. There are three different options for the users airflow, fully opened, two, or one giving users the ultimate control for preference. With a flexible and easy building post, a convenient top fill capability for your favorite E-Liquid the Advken Manta 24mm will always provide great vapor production and flavor. Very underrated rta. But once you’ve mastered wicking the Flavour and airflow is amazing. Loving the bubble glass option as well. I really dig how the flavour pops out of this bad boy! Great bang for buck!